Have you got something special in the garage? You may have noticed a new addition to the magazine in the last couple of issues. Nestled in between the long term test fleet pages we are now featuring a special bike in every issue that belongs to a SuperBike reader. Old or new, two stroke or four, if we find it interesting then it has a chance of making it into SuperBike. 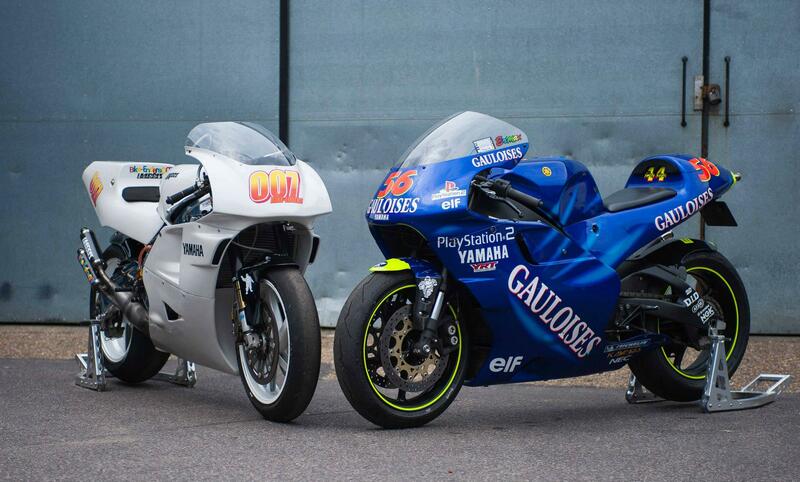 So far we’ve had a gorgeous Yamaha OW-01, a track prepped R1 and a heavily modified RD500 YZR500 Nakano replica. Whether you have something special and rare, a restoration project or something just a little bit different then we want to know about it. Email your pictures to Shaun@superbike.co.uk and they could appear on the pages of SuperBike in the near future. Don’t worry, when I first bought it, it wasn’t a mint RD500 that I decided to chop up. and the answer was an RD500 GP replica. I’d wanted one since I was 18 but couldn’t afford it. 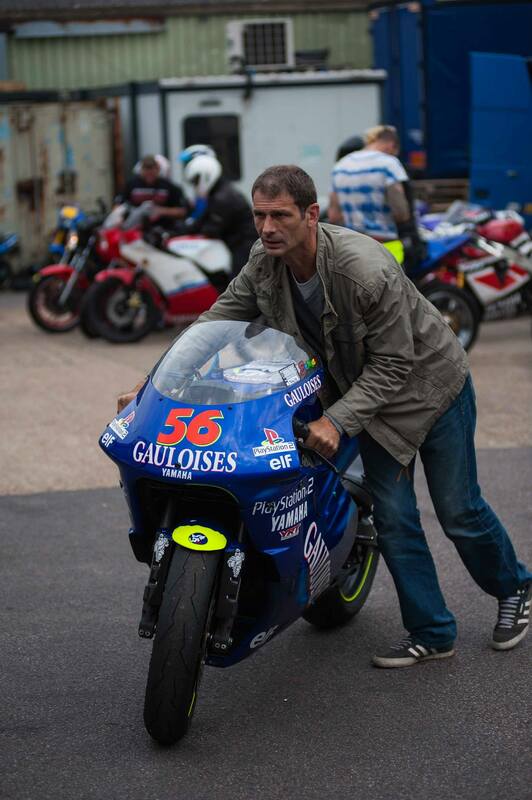 The first time I ever rode it an R1 came past me and I tried to hang onto the back of it for a bit. I dropped it down two gears and the next thing I know there’s loads of white smoke coming out of the back! I remember the conversation so well even though it was five years ago. It came to £2700 to put the engine right and if I hadn’t pulled over when I did, the entire thing would have been scrap. Cases, the lot. Stan also told me the bike was a complete bitsa with a non-matching frame and engine, so I decided to embark on the build that lead to the bike I have today. When I realised I wanted a GP replica I started by modifying the frame to fit the different bodywork and fuel tank. The plan all along was to have it totally road legal with a proper MOT so I’d need lights and the rest of it. 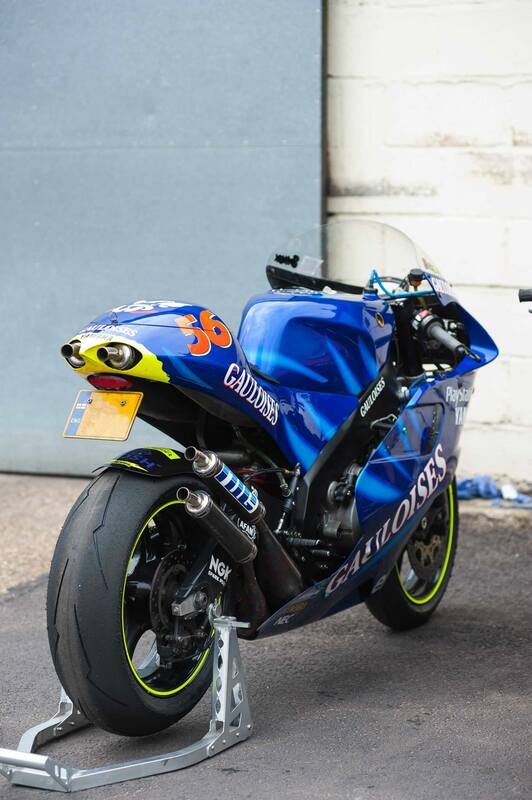 The bike is all Yamaha parts apart from the NC30 tank which again has been modified to look the part. I finally settled on Mig exhausts after trying a few different types. The swingarm is from an R6 and the front end is all 5VY R1 stuff. Everyone compliments the paint job and asks who it was done by, it was Illusion Racepaint in Northampton. As I said Stan Stephens has worked his magic on the engine over the last few years and it’s now making around 100bhp on the Gibson dyno which I’m pretty pleased with. I don’t see what the fuss about the bike is, all I see every time I look at the bike are the mistakes I’ve made along the way and I’d quite happily take it apart tomorrow and start from scratch. I can’t really go anywhere on it though, not because it’s unreliable. It’s because everywhere I stop everyone wants to talk about the bike. It’s a pain in the arse sometimes as I just can’t get away from the bike.